Easter. It’s the sweetest time of the year for a wedding. Easter is the symbolic time for ‘new beginnings’ and what better time to celebrate your own new beginnings and say ‘I Do’. 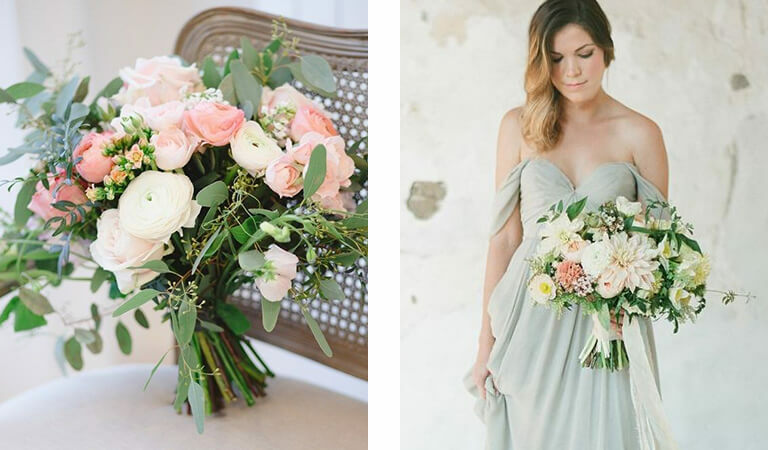 There are so many good reasons why Easter shouldn’t just be cute bunnies and beautifully wrapped eggs..
It’s the perfect opportunity to wrap yourself, or your bridesmaids in something that reflects this special time of the year. 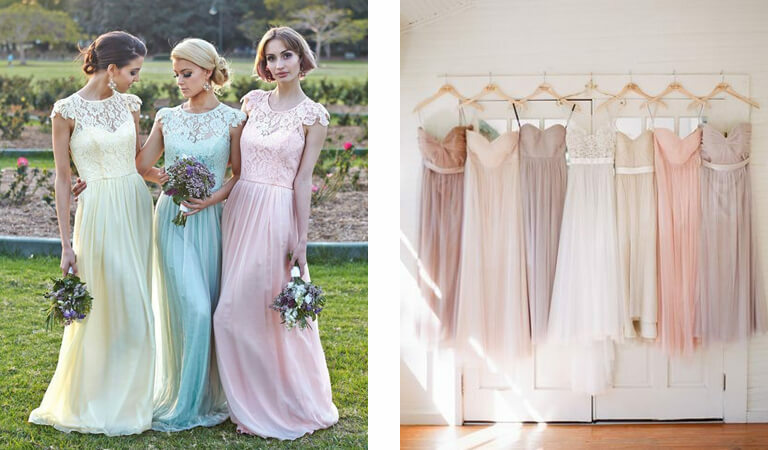 Soft sheer fabrics, in playful Easter pastel hues like mint, lemon, pink blush, or the palest of blues? The colours would also sit perfectly against white. And don’t forget that accessories are a great way to add a splash of colour to your day, while keeping the traditional bridal style. And let’s not forget that apart from Easter flowers on your tables, there’s the opportunity to carry the Easter theme through and spoil your guests with chocolate, chocolate and more chocolate! Delicately woven Baskets filled with cute pastel speckled eggs, Chocolate truffle boxes, and bonbonnieres carrying pastel coloured macarons all make sweet, little guest gifts. Your table settings could be Easter styled with romantic, soft blooms and Easter nests, brightly coloured Easter eggs in thatched little nests and soft candles. And if chocolate is your favourite, maybe an Easter themed dessert bar that ‘salutes the sweet tooth’. Just imagine a delectable chocolate fountain as the centrepiece, or tiers of beautifully decorated mini chocolate puddings. The opportunities to theme ‘Easter’ are endless. 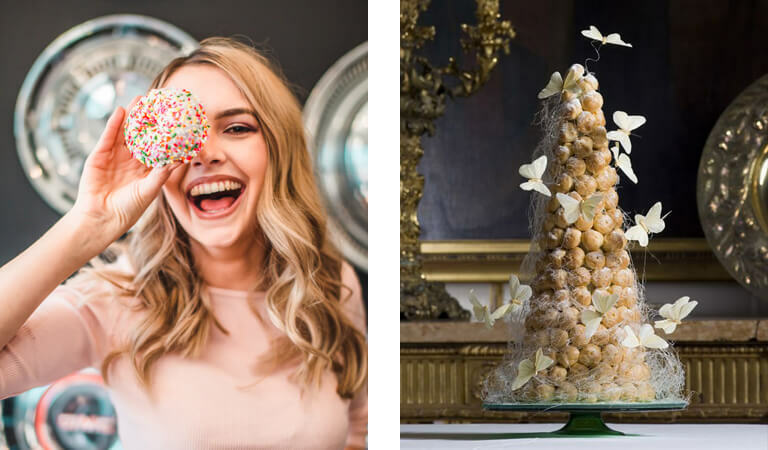 Your wedding cake could be a giant Easter egg cake, or even a delicate a Croquembouche tower covered in spun-sugar whisps with delicate sugar butterflies appearing to fly around it on fine wires. Just imagine if you staged a beautiful wedding around the Easter celebration time, your guests would have the whole long weekend to recover. Four days of public holidays to celebrate your nuptials. Easter also marks a cooler time of the year in Brisbane. It means an opportunity to break with tradition, and if your venue allows it, to stage an outdoor brunch or lunch reception. Perfect for country settings. And if you’re outside in the country, what could be more fitting than a about a petting zoo with the cutest baby ducklings, chicks and bunnies. (Don’t worry about just the kids, the adults will love it too!) What about organising an Easter Hunt while you’re out getting your photos taken? It would certainly be a huge hit and something so memorable from your special day. It’s the perfect time for chocolate, flowers, soft, romantic pastel colours and celebrations. What’s even better is that because it’s such a significant time, everyone will always remember your special day. The time that Easter played host to your ‘Forever Day’.